At the end of last year, I bought ‘Makery‘, a craft book presenting ’30 projects for the home, to make and to give’. 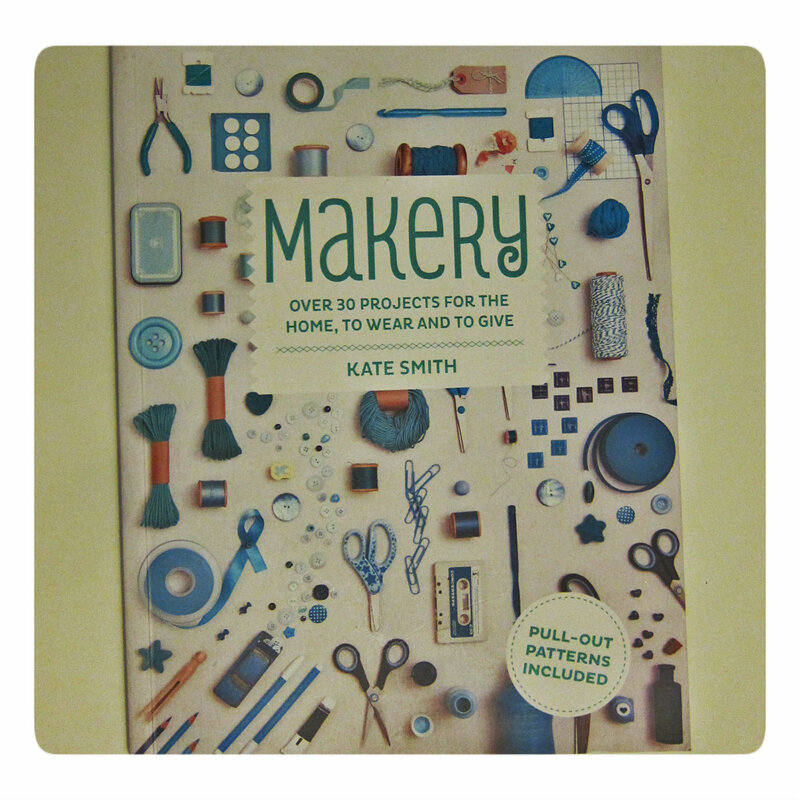 The book was written by Kate Smith, co-owner of The Makery, a lovely craft hub located in Bath. 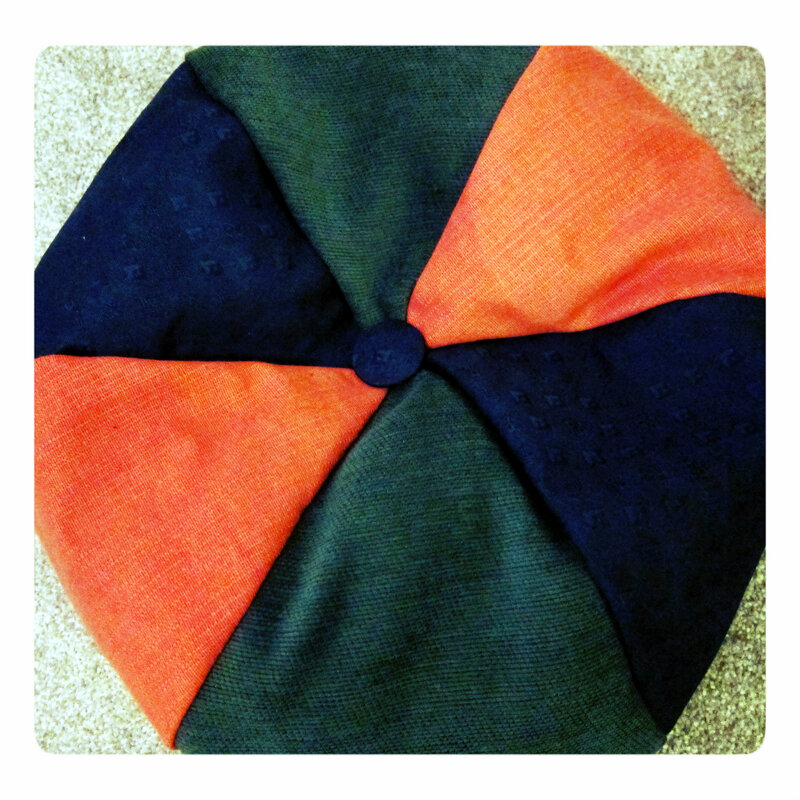 One of the projects presented, a doughnut shape patchwork pouffe, caught my attention and I decided to try to make one. As I am still pretty inexperienced with my sewing machine (I struggle to get my work looking ‘clean’), I asked my mom if she wanted to make a pouffe with me so she could show me some tricks.So when I was back in Belgium a few weeks ago, we went to a Fabric shop to buy some bits and we cracked on with the project. 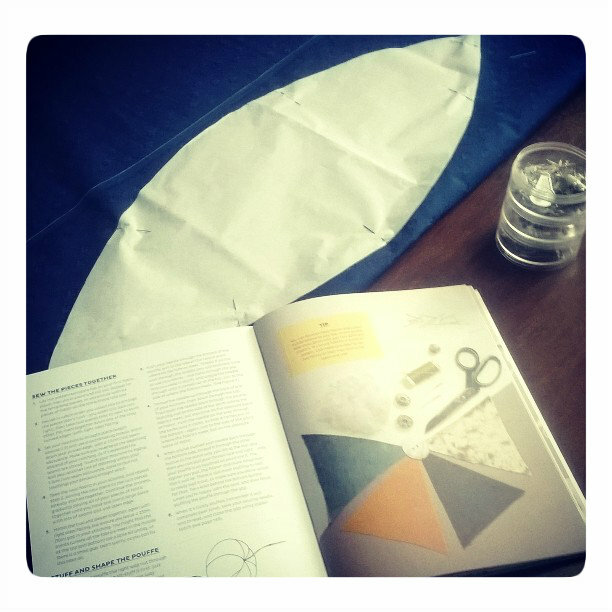 The pouffe being made of 6 identical pieces of fabric, using a pattern template and pinning it to the fabric are essential steps in order to get pieces all with the same shape and size. 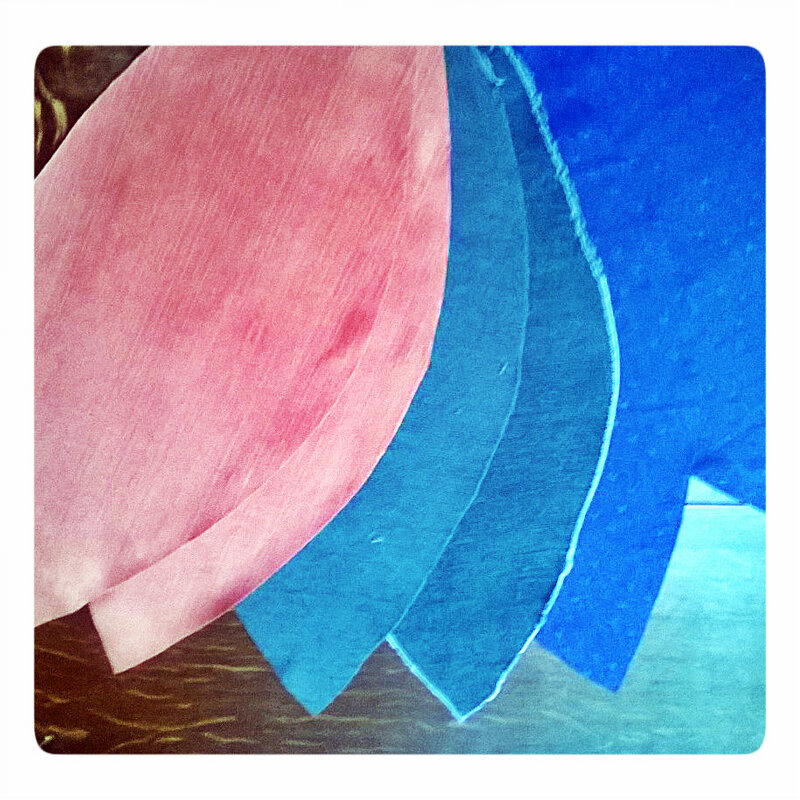 Once all the pieces cut, I pinned together 2 of them and started sewing. I then added a 3rd piece and restarted the same process with the 3 other pieces. I finally stitched all the pieces together, leaving a gap in my stitching for the stuffing. I took the empty pouffe back with me in Bristol and my mom offered to make buttons with the left over of some of the fabric. I received the buttons this weekend so I finally finished the project by stuffing the pouffe and adding buttons at the bottom and the top of it. 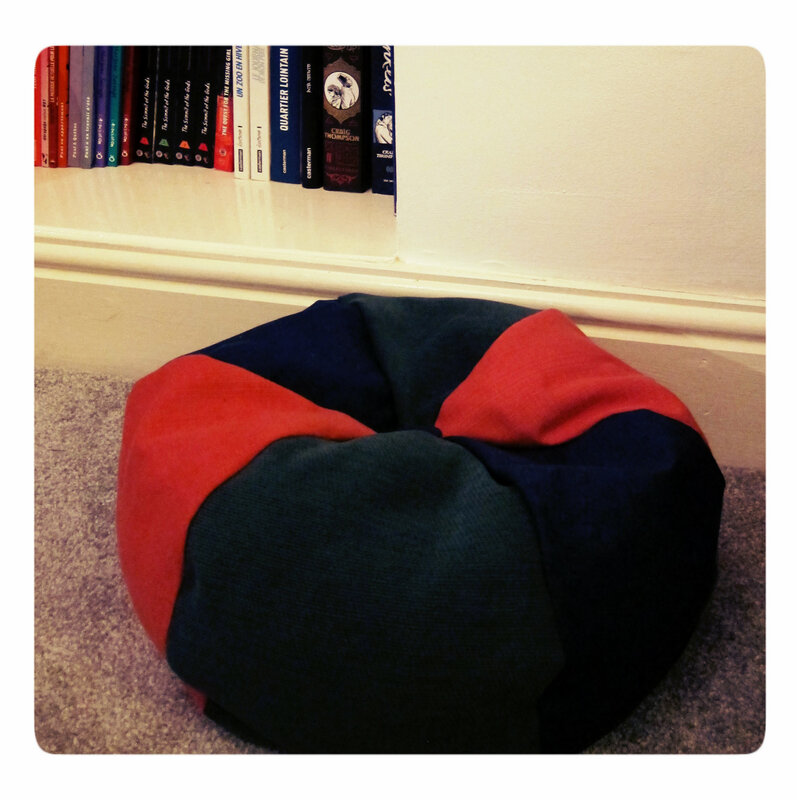 The final result is a lovely (but quite small) pouffe that wasn’t too difficult to make. It however doesn’t fit quite rightly in my living room so I will probably give it to someone. 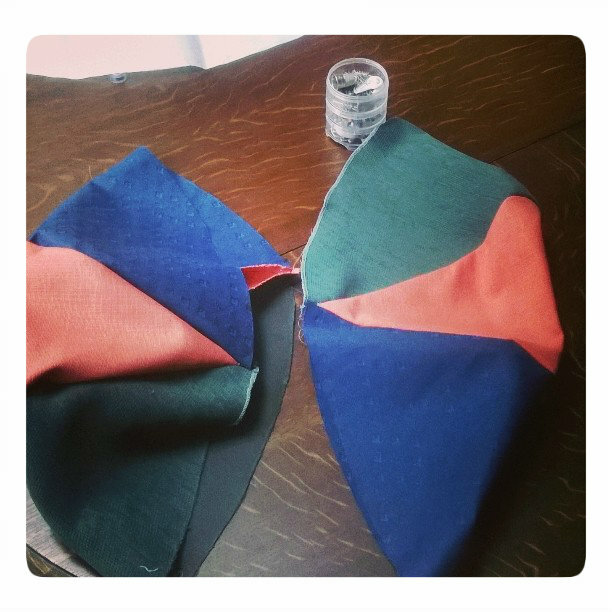 It was a nice thing to make together with my mom anyway, and I got to learn a few more tricks with the sewing machine that will be useful for future projects.